The Hotel Halcyon is a large hotel, with six floors. The hotel is positioned on the corner of an intersection, and there are vintage automobiles parked around the building, parallel to the street. 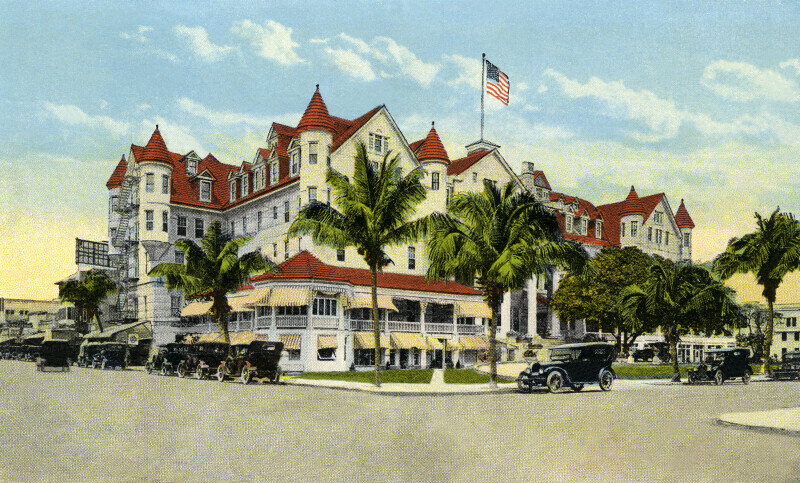 The hotel was constructed with oolitic limestone, in the Queen Anne style. The corners of the building often have towers or turrets, with conical roofs. There are multiple levels of gabled dormers, on the roof. To the left, there are series of metal ladders and balconies, to be use as fire escapes.